collections to be showcased at the CHA in Arizona in a couple of weeks. For my post, I chose to work with Origami Love. I need wrapping paper in the pink paper with the cranes...even the 12x12 size would be great for wrapping. This collection is very trendy, but stylish, and also a little playful and modern at the same time. I had to use the printed paper in cream and black with the random lines. This paper would be great to color in some of the areas, but I left it as is and included a border from more printed paper at the bottom. I used most of the larger stamps to stamp, color and die cut, to layer over my printed papers. Before adhering them, I sent my background through the typewriter to type my journaling, and added one of the sentiments to start off my journaling for the title. Really love the lines of origami, especially in scrapbooking, they can easily point right to your photo. To color my images I used Fun Stampers Journey Color Burst Pencils. Now for the fun part, prizes! 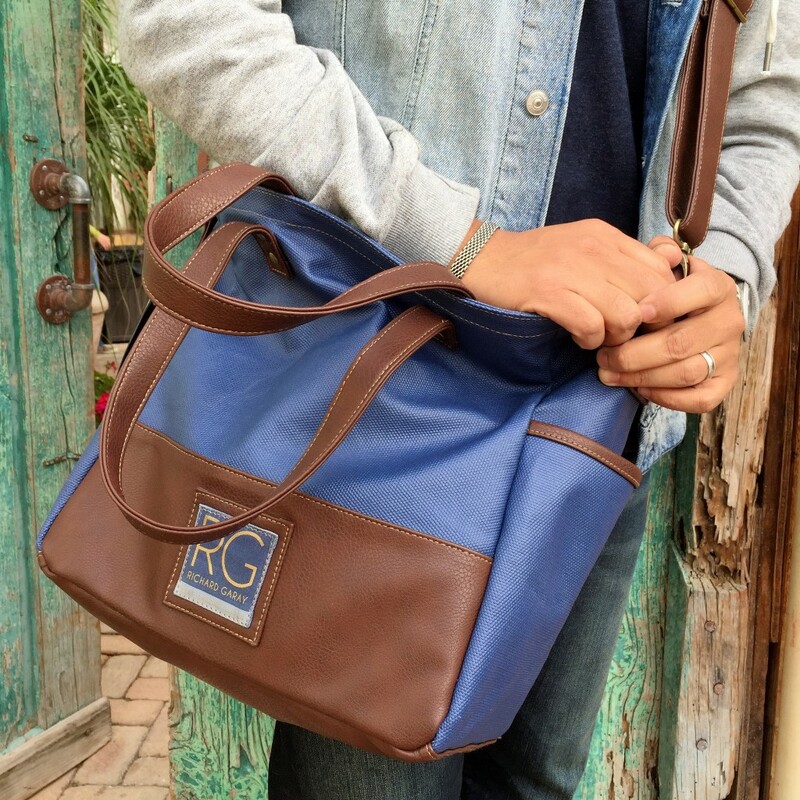 2 Runners Up - Each will receive one of the RG messenger bags. 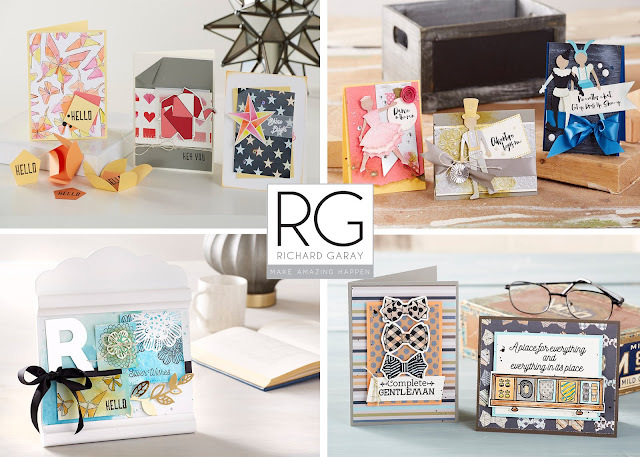 To enter to win, comment on the RG site, post a comment on each designer's blog (not required, but gives you more chances to win. One entry per comment). Comments will close on January 10th at 6:00 PM EST and winners announced on the RG site on January 11th. Good Luck!! Fabulous layout! Loved all the little details! What a fabulous layout!! Hugs! Oh, I love those images!!!! They can be used sort of plain, or decorated to the hilt! I love the 3-D look of this layout -well done! LOVE the origami stamps. Such a beautiful set and layout. The origami elements add a nice pop to the lovely layout. This is a beautiful layout...the origami animals are very unique and fun! Love this layout & your daughter is just beautiful ! 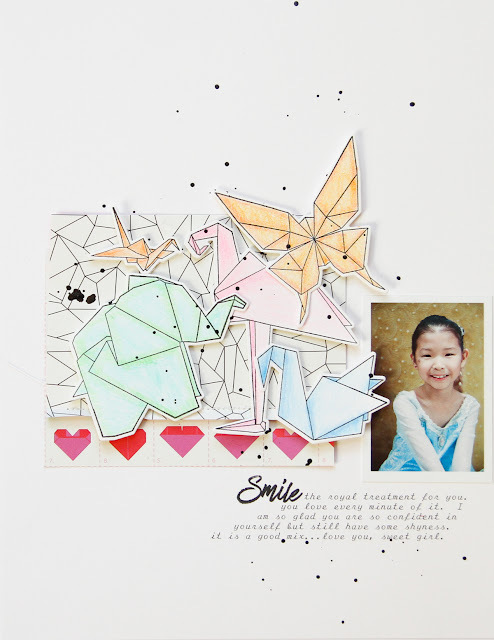 Such a great layout Patricia with the adorable origami animals. Your beautiful little girl is precious. The origami stamps are so cute! Every time I see your pages, I want to start doing mine! You are such an inspiration Patricia. I have always created square pages, but I can see that letter size is a quite versatile format! I love this beautiful page! Striking and fun layout! What a lovely accent to the sweet little lady highlighted on the page. hit on this one immediately. The origami collection looks very interesting, thanks for sharing! Fantastic layout. I really love this origami collection. Oh those origami critters are a delight and make a fab layout for this sweetie-pie! Fun layout with these origami shapes. I like the soft colors too. 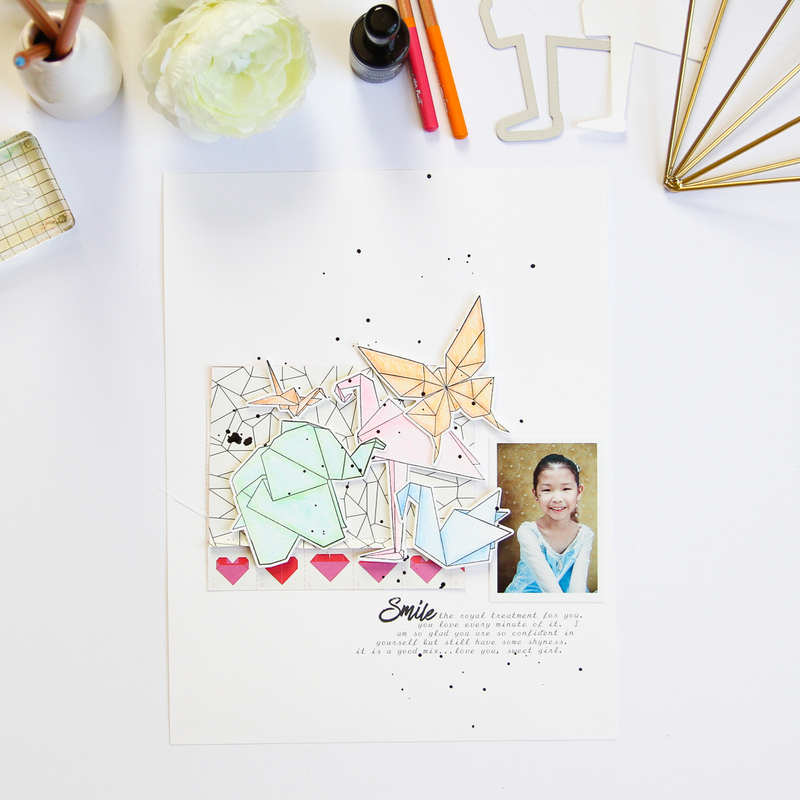 I love the way you used the origami in your sweet layout. Wonderful layout & I love that adorable elephant! Love the soft colors on your beautiful layout! 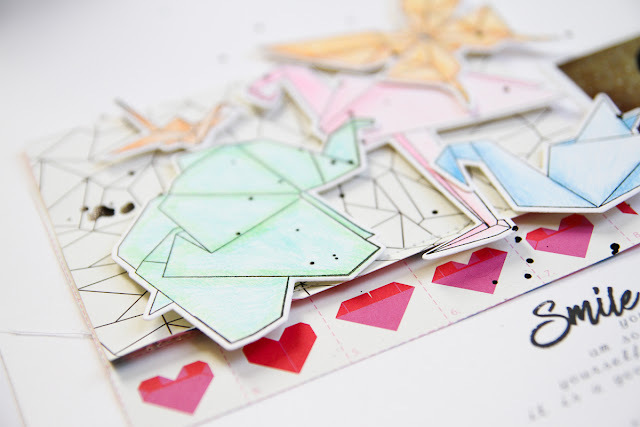 The origami butterfly, elephant and cranes are fabulous! Love this pretty Origami Love collection! I am loving those origami stamped images on the layout. The soft colors let your photo shine! your layout is adorable and so pretty! Very stylish collection! I'd love to play with this origami love set! Oh My! Such Elegant Project! Beautiful! Thank you so much for the inspiration and for the opportunity to win the generous gifts! Would love to win this! Patricia... your layout is so beautiful and adorable with your girl's picture and those origami animals. LOVE IT!! What a fabulous layout--- love the layers! And the white space!